The objective of this study was to investigate the effect of arginine-rich coconut kernel protein (CKP) on alloxan-induced diabetes in comparison with l-arginine and an antidiabetic drug, glibenclamide. 1-month-old 24 male Sprague–Dawley rats, weighing 130–150 g, were randomly divided into five groups: group I-normal control, group II-diabetic control, group III-diabetic + CKP, group IV-diabetic + l-arginine, group V-diabetic + glibenclamide (0.6 mg/100 g body weight). The rats were induced diabetes by injecting a single dose of alloxan (150 mg/100 g body weight) intraperitoneally. After the experimental period, various parameters were analyzed. 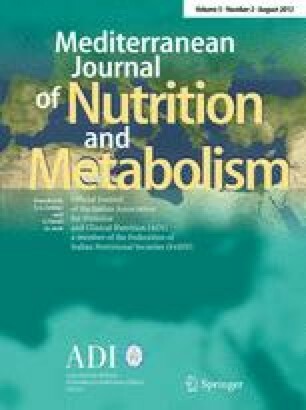 The results showed that diabetic rats treated with CKP, arginine, and glibenclamide reduced the serum glucose and had no significant effect on total serum protein content compared to diabetic control. Serum urea level was found to be comparatively reduced in arginine-, CKP-, and glibenclamide-treated rats. Toxicological analysis showed that arginine, CKP, and glibenclamide delivered to diabetic rats significantly reduced the SGOT, SGPT and ALP activities to the basal level. Histopathological analysis also showed a comparable reversible effect of CKP on alloxan-induced pancreatic damage with respect to arginine and glibenclamide-treated rats. These results clearly indicate the non-toxic and antidiabetic properties of CKP, possibly mediated through arginine. The authors G. Salil and K. G. Nevin have contributed equally. The authors are thankful to Dr. Marykutty, Professor, Department of Pathology and Microbiology and Dr. Sunil, Department of Oral Pathology, Mar Baselios Dental College, Thankalam, Kothamangalam, Eranakulam, Kerala, India for their timely help for doing the histopathology studies.